On the early evening of August 21, 1883, one of the worst tornadoes in Minnesota's history tore through the small town of Rochester, 90 miles southeast of Minneapolis. Local doctor William Worrall Mayo and his sons Will and Charlie immediately began treating scores of the wounded—in homes, offices, hotels, even a dance hall. Amidst the chaos, the elder Dr. Mayo asked to see Mother Alfred of the nearby Sisters of Saint Francis. It was summer, vacation time at the convent school she oversaw. The students’ rooms were empty, he said, could they use the beds for the injured? She agreed. From its roots as an unlikely partnership between a country doctor and a group of Catholic nuns, the Mayo Clinic now treats more than a million patients a year from all 50 states and 150 countries at campuses in Minnesota, Florida, and Arizona and their affiliates. W.W. Mayo had a simple philosophy he imparted to his sons, “The needs of the patient come first.” They wouldn’t treat diseases…they would treat people. In a world where healthcare delivery is predominantly fragmented among individual specialties, the Mayo Clinic continues to practice a multi-specialty, team-based approach that has, from its beginnings, created a culture that thrives on collaboration. In addition to the history of the Clinic’s achievements in patient care, research, and education, the film follows the stories of patients and their families as they are diagnosed and treated for often-life-threatening conditions: including a one-year-old girl whose brain cancer is treated with innovative proton-beam therapy; a concert violinist whose career is saved by experimental deep brain stimulation; and an elite athlete whose surgery for a rare heart disease gives her renewed hope that she can return to active competition. By combining the history of the institution with examples of its values in practice today, the film will make an important contribution to the critical discussions about the delivery of healthcare in America. 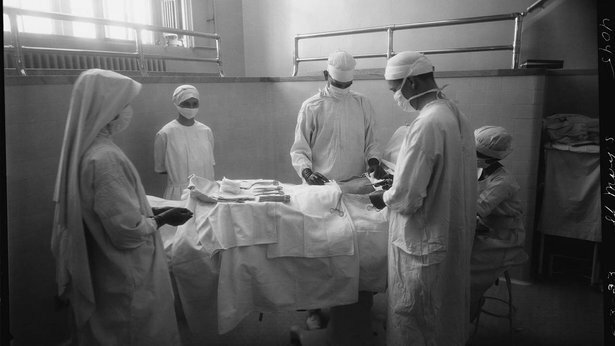 Executive produced by Ken Burns, The Mayo Clinic is a two-hour documentary produced and directed by Erik Ewers and Christopher Loren Ewers, produced by Julie Coffman, and written by David Blistein.